Dance $90 (by 6-12) and $125 at the door (IF available). All but $7 is tax-deductible. Dinner / Show / Dance packages: $250 for 1 person, $350 for 2 people. Dinner tickets are STILL AVAILABLE but are for the outdoor covered patio only. 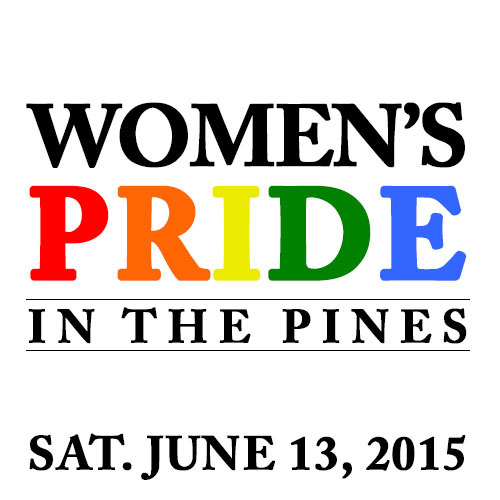 Join us on Saturday, June 13 in Fire Island for the 5th annual LBT Women’s Pride in the Pines Dance (400 women expected), including COMPLIMENTARY wine, vodka & hors d’oeuvres plus a great silent auction (fantastic high-end bargains in 2013 and 2014 such as theatre tickets, restaurants and travel). Last year all 400 Dance tickets were sold and the Dinner was sold out, too! ). Music by DJ/Producer Susan Levine and Johnny Dynell. Dress code: Classic White. Pride in the Pines benefits an LGBT charity each year (rotates): in 2015 HMI (the Hetrick Martin Institute) is the beneficiary. HMI helps LGBTQ youth to reach their full potential, especially at-risk youth and homeless young people. (40% of homeless youth are LGBT and 30% are thrown out of their homes after they come out). In 2013 and 2014 over 75% of event proceeds benefited the designated charity (SAGE and HMI, respectively). Pride in the Pines is co-hosted by FFF/Princeton BTGALA, Yale GALA and the Manhattan Lesbian Party List (https://www.facebook.com/groups/ManhattanLezPartyList/) . List in formation. It is easy to get to Whyte Hall, Fire Island. You do not need a car nor a hotel to attend. The Sayville Ferry (http://www.sayvilleferry.com/) goes from Sayville, Long Island to the Pines. ($16 round-trip). Take the special 2:15 pm Sayville Ferry (NOT on the schedule) to the Pines for the event. Follow the women. Thhere are special MTA LIRR-Ferry packages (take the LIRR to Sayville LIRR Station, transfer via Colonial Taxi to Ferry -- $32 round-trip) or via water taxi from any other beach on the Island ($7 fare). If you drive, there is a paid parking lot across the street from the Sayville Ferry. From NYC Penn Station take the 11:57 AM LIRR to Babylon, transfer for the Sayville LIRR (depart Babylon 1:19 pm, arrive Sayville 1:42 pm). OR from Brooklyn Atlantic Terminal take the 11:59 AM LIRR to Jamaica, transfer to the Babylon train (depart Jamaica 12:22 pm) and transfer to the same Sayville LIRR train (depart Babylon 1:19 pm, arrive Sayville 1:42 pm). In Sayville, take the Colonial Taxi to the Sayville Ferry and take 2:15 pm special ferry to event. The MTA has a special $32.75 same-day package deal for all 3 legs (LIRR, Colonial Taxi & Sayville Ferry), too. : http://web.mta.info/lirr/getaways/beach/FireIslandPines.htm. (Buy same-day packages from gray, green or blue ticket machines, under Getaways --> Beach Getaways!). © Copyright Yale Gay and Lesbian Alumni/ae Association, Inc., ALL RIGHTS RESERVED.